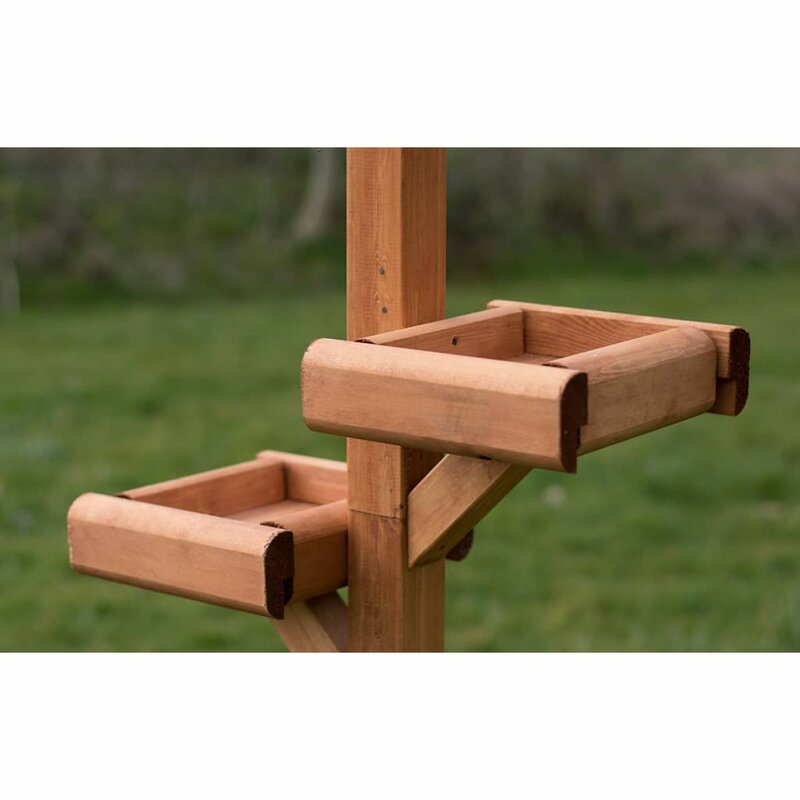 This is a larger Bird Nest Box, designed mainly to attract sparrows as these birds prefer to nest in..
Do you supply ground fixing equipment for the base? 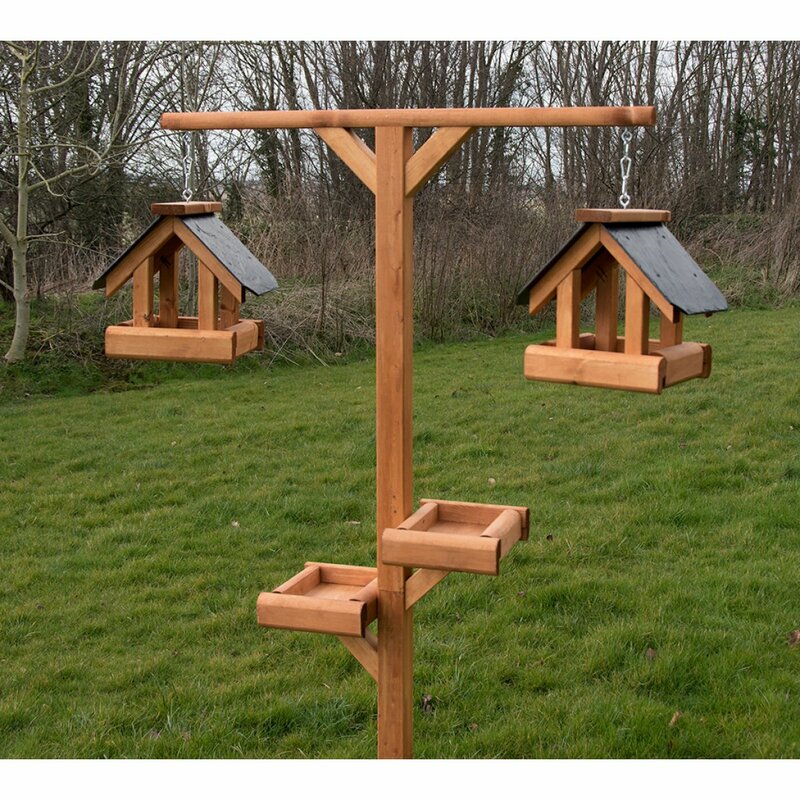 If I ordered one of these bird tables would it be delivered before Christmas. 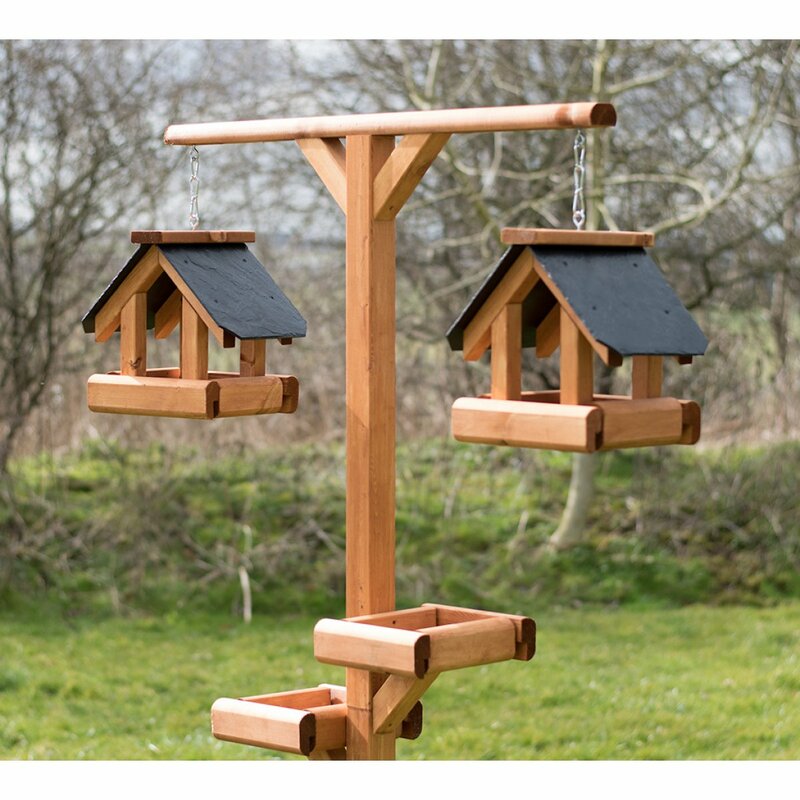 Is it possible to buy the Premium station without the slate roofed hanging bird tables? If so how much will it cost? Also, in regard to the two small tables do they have drain gaps for cleaning and if not how simple are they to remove for cleaning and hygiene? I am still thinking about the tables and I may not fit both tables to start with, so I will the pre drilled holes be OK exposed to the weather if not used for a while? How much would the stand be without the table or tables? High in oil for energy. No husks - no mess.Will attract many birds including Finches, Woodpeckers an..